On behalf of the Office of Admission, thank you to the following student workers, faculty, and staff for helping to make the Celebration of the Class of 2023 event a success. The Admitted Student Day event had 100% attendance. Saint Mary’s University honors outstanding alumni each summer during Reunion Weekend who have made outstanding achievements in their professional careers, who best exemplify the Lasallian charism Saint Mary’s was founded upon, and who have generously contributed time and talent to the goals and objectives of their alma mater. This year, four alumni will be honored during a reception and ceremony Saturday, June 22, on the Winona Campus. This year’s Distinguished Alumni Award recipients are Jerome “Jerry” Colletti ’69 of Scottsdale, Ariz., and Michael Morsberger M’97 of Orlando, Fla.; the Alumni Appreciation Award recipient is John Domanico ’77 of La Grange, Ill.; and the Lasallian Service Award recipient is Alan Peters ’74 of Minneapolis. Jerry Colletti ’69 has made it his business to be successful — and to help others find success in business. After earning his M.B.A., he returned to Saint Mary’s from 1970-72 to teach marketing and management. After subsequent positions with Lake Center Industries in Winona and Manpower, Inc., in Milwaukee, Wis., he joined Sibson & Company in Princeton, N.Y., and rose to the rank of chief operating officer, overseeing the firm’s day-to-day management of eight locations (domestic and international). 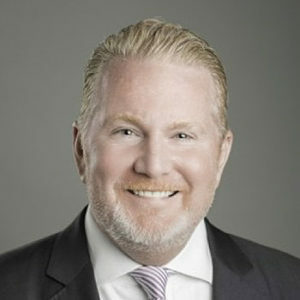 In 1985, Colletti and two colleagues founded The Alexander Group, a management consulting firm specializing in sales management which served Fortune 500 clients. For his leadership, he was recognized as an Entrepreneur of the Year nominee/finalist by Ernst & Young, LLP. In 1999 after the sale of The Alexander Group, he and his wife Mary Fiss (CST’71) founded Colletti-Fiss, LLC, a management-consulting specializing in sales compensation and performance management. The firm, headquartered in Scottsdale, Ariz., helped top executives design programs that increase sales results and focus on three areas of sales effectiveness. Now retired, he is the also author or co-author of over 200 articles and four books, and he currently serves on Saint Mary’s Business Advisory Council. Mike Morsberger M’97 is an accomplished advancement professional with 30 years of experience in nonprofit fundraising and development. Most recently, in June of 2015, he joined the University of Central Florida as the vice president for advancement and CEO of the UCF Foundation, and he has guided their $500 million IGNITE Campaign through two back-to-back record breaking years to an expected completion in June of 2019. Morsberger started his career in his hometown of Baltimore, Maryland, with several smaller charitable institutions. 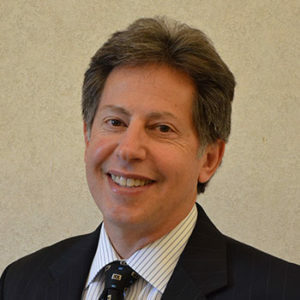 In 1995, he joined the major gifts team at Johns Hopkins Medicine, and worked his way up to executive director of oncology development. In 2001, he was involved with securing the largest (then) gift in Johns Hopkins’ history, $150 million. 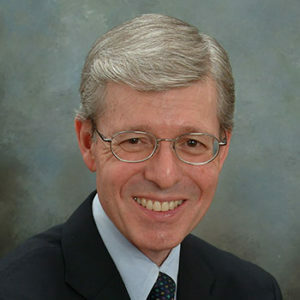 Following his tenure at Johns Hopkins Medicine, he worked in development administration for number of organizations including: the University of Virginia Health System and the UVA Health Foundation; Duke Medicine; and George Washington University in Washington, D.C., where he oversaw the planning and launch of their $1 billion Making History Campaign, and helped to secure the two biggest gifts in university history ($50 million and $30 million). 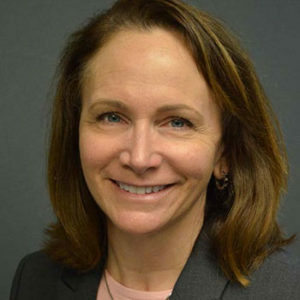 Morsberger also serves on two dozen nonprofit boards and is a frequent guest speaker at national and international conferences. John Domanico has continued to support his alma mater by sharing his time, talents, and treasures since he graduated in 1977. While a student, he was active with Phi Mu Alpha and assisted with many musical acts including Blue Angel and Gaslight; he also served as the College Center Concert Committee chair. As his professional career as an oral and maxillofacial surgeon grew, he returned to Saint Mary’s to talk to students about potential careers in dentistry. In more recent years, he was a member of the alumni board from 2005-2010 (serving as president in 2008-2010). He has also served as a Saint Mary’s trustee since 2013 and on the First Generation Initiative Advisory Board since 2011. He also co-chaired the Celebration of Excellence event in Chicago in 2015. In recognition of his dedication to Saint Mary’s, he received the Presidential Award for Outstanding Merit in 2010. John and his wife, Joanie CST’79, are familiar faces at university functions, and they have generously supported many initiatives that further Saint Mary’s mission. The idea to start Lasallian Day of Service originated with John during his time at the alumni board. In the past 10 years, due to his vision, hundreds of alumni from throughout the United States have gathered together on this fall day in service to their communities to honor their Lasallian heritage. 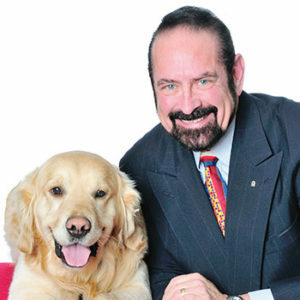 Alan Peters founded Can Do Canines in 1987 and serves as executive director of the organization. Under his leadership, the organization has grown from an interesting idea to an industry-leading organization with 35 staff and a 25,000 square foot training facility. Can Do Canines has placed more than 650 fully trained assistance dogs into the community, all at no cost to their clients with disabilities. Under his direction, Can Do Canines has become a fully accredited member of Assistance Dogs International and has received awards from the Minnesota Council of Nonprofits, the Minnesota State Council on Disability, the Minnesota Corrections Association, The Arc of Minnesota, and the Commission of Deaf, DeafBlind, and Hard of Hearing Minnesotans. Peters was personally given the Minneapolis Award for his contribution to the community. Three of the Lasallian Core Principles are: Respect for All Persons, Concern for the Poor and Social Justice; and Inclusive Community. In his work Peters also abides by these principles. Can Do Canines is dedicated to enhancing the quality of life for people with disabilities by creating mutually beneficial partnerships with specially trained dogs. The work of his organization brings freedom, independence, and peace of mind to people with disabilities — free of charge. 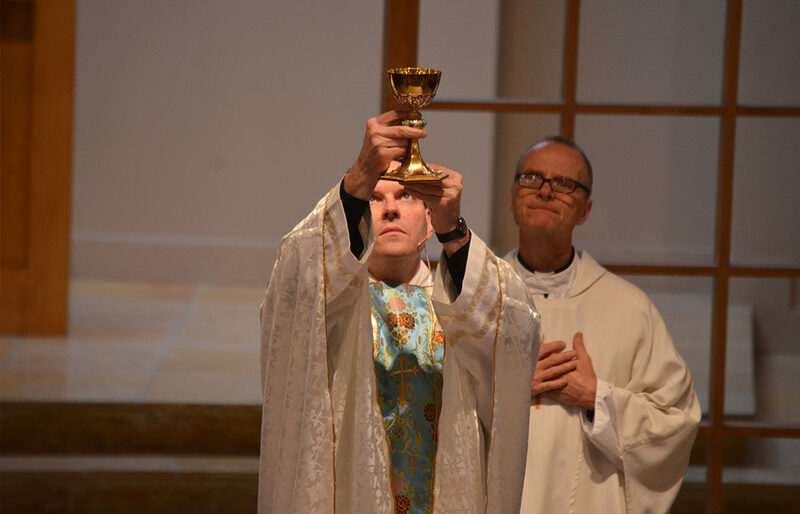 Join us to celebrate Palm Sunday with Father James P. Burns, IVD, Ph.D., and the Saint Mary’s University of Minnesota community as we usher in Holy Week with a special 10:30 a.m. Mass Sunday, April 14, in Saint Thomas More Chapel. 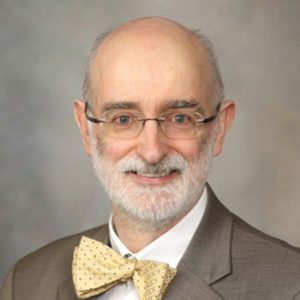 The Science Department is excited to welcome Mayo Clinic physician Dr. Joseph A. Murray to speak at one of our weekly seminars on Wednesday, April 10. Dr. Murray, a Gastroenterology specialist, will be presenting “What happens in the gut does not stay in the gut.” All are welcome to attend the seminar which will be held in the Science and Learning Center Room 200 at noon. Minnesota Campus Compact announced the winners of the 2019 Presidents’ Awards, which include three members of the Saint Mary’s community. The Minnesota Campus Compact Presidents’ Awards provide an opportunities for member presidents and chancellors to give statewide recognition to effective leaders in the development of campus-community partnerships. This year, 88 awardees were selected from 27 colleges and universities across the state. Awards will be presented at the annual summit and awards luncheon on Wednesday, April 10, at St. Catherine University. Goly Yang will be honored with the Presidents’ Student Leadership Award. This award is for an individual student or a student organization that models a deep commitment to civic responsibility and leadership, evidenced by initiative, innovative, and collaborative approaches to addressing public issues, effective community building, and integration of civic engagement into the college experience. Yang is actively engaged in community youth advocacy work in Saint Paul. She has developed and implemented youth literacy courses and coordinated a variety of community events, including hands-on opportunities for teacher education candidates, at the Conway Community Center. Dr. Christine Beech will be honored with the Presidents’ Civic Engagement Steward Award. This award is for a member of the faculty, administration, or staff or for a group (e.g., advisory committee, task force, project team) that has significantly advanced their campus’ distinctive civic mission by forming strong partnerships, supporting others’ civic engagement, and working to institutionalize a culture and practice of engagement. Dr. Beech serves as the executive director of the Kabara Institute for Entrepreneurial Studies at Saint Mary’s. In that role, she has advanced the university’s distinctive civic mission by forming strong partnerships in Winona and Rochester that have allowed students to foster their entrepreneurial spirits. The Sanneh Foundation (Tony Sanneh) will be honored with the Presidents’ Community Partner Award. This award is for a community-based organization that has enhanced the quality of life in the community in meaningful and measurable ways and has engaged in the development of sustained, reciprocal partnerships with the college or university, thus enriching educational as well as community outcomes. The Sanneh Foundation serves the holistic youth development needs of the increasingly diverse Twin Cities metro area. It seeks to unite communities by advancing diversity and equity. Saint Mary’s joins those efforts by partnering with the foundation to prepare high-quality educators who reflect the diverse communities in which they work. Founded in 1994, Minnesota Campus Compact aims to integrate civic work and learning into the curriculum and operations of its diverse network of colleges and universities, so students graduate with the determination and capacity to contribute to the public good throughout their lives — and higher education institutions are fully engaged with their communities, working together to educate citizens, solve problems, and build a strong democracy. Minnesota Campus Compact is the only organization in the state that works with public and private, two and four-year institutions on the democratic purposes of higher education. Learn more at mncampuscompact.org. 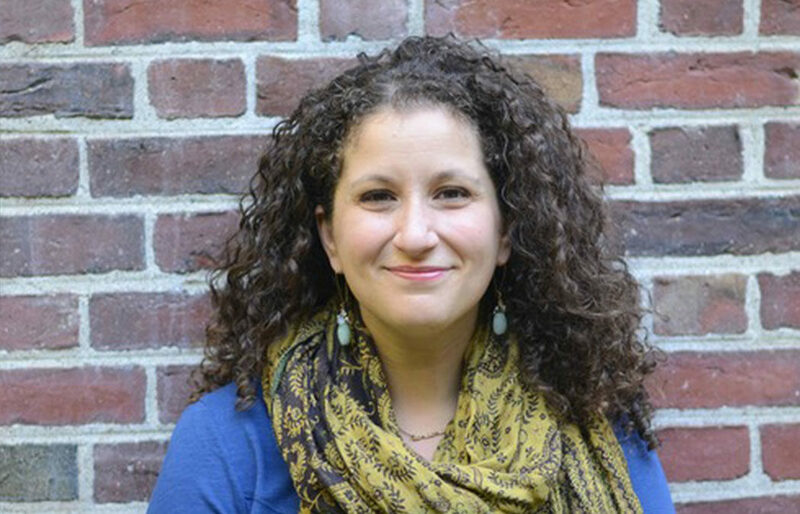 Vanessa Zolton, co-host of the podcast “Harry Potter and the Sacred Text,” will visit Saint Mary’s to speak on Courage and Community Care: Treating the Secular as Sacred on Thursday, April 11, at 7 p.m. in the Science and Learning Center Room 200. CEO of Not Sorry Productions, host of Hot & Bothered, and founder of Common Ground pilgrimages, Zoltan is a research assistant and proctor at Harvard University. She has her B.A. in English Literature from Washington University in St. Louis, her M.S. in Nonprofit Management from the University of Pennsylvania, and her M.Div. from Harvard Divinity School. In February 2017, the Trump administration directed the Environmental Protection Agency (EPA) and the Assistant Secretary of the Army for Civil Works (Assistant Secretary) to revise the definition of Waters of the U.S. (WOTUS). The definition is used to determine which streams, rivers, lakes, coastlines, and wetlands are protected from draining and filling under the Clean Water Act. Due to a combination of subsequent rule makings and court challenges, two definitions are currently used in the United States. The EPA and Department of Army published their proposed rule with a new definition of WOTUS in December 2018 to replace both of the currently used definitions. The new proposed rule would remove many waters and wetlands from Clean Water Act protection. 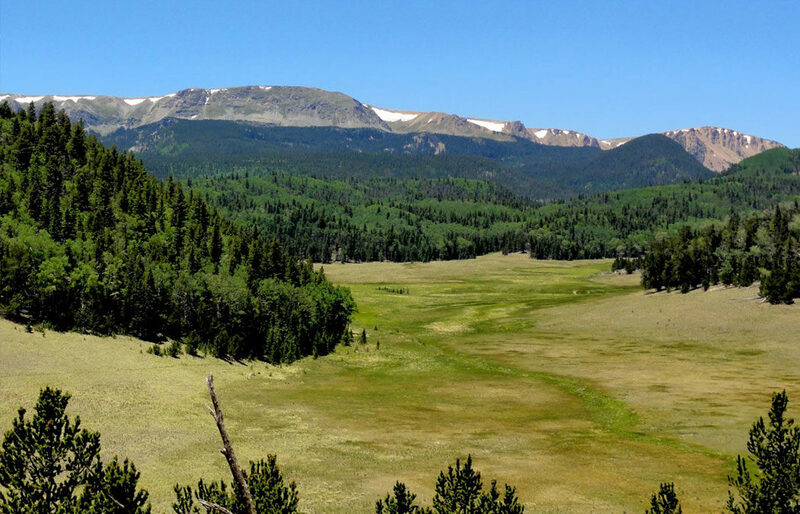 There was a clear need for analytical materials, such as a digital map of different watersheds in the U.S. that shows which waters and wetlands are protected and which are not protected under these three scenarios. Such a resource could help elected officials, policy makers, and the public understand which waters are currently protected, as well as the extent and impact of the proposed changes, so they can comment on the proposed rule and plan for potential future changes in the extent of waters protected under the Clean Water Act. With grant funding from the Hewlett Foundation, GeoSpatial Services (GSS) created a geospatial model that predicts the spatial extent of federally protected wetlands and waterways under three different protection scenarios. The methods and communication of results were guided by a project advisory committee made up of science and legal professionals. The results of the analyses show that narrowing the scope of federally protected waters would significantly reduce the number of streams, wetlands, and wetland acreage protected by the Clean Water Act, leading to a potential loss of benefits provided by wetlands that would no longer be protected under the Clean Water Act. These benefits include water quality protection, floodwater attenuation, fish habitat, and wildlife habitat. The methods and results of this work can be found in a final report and in a story map developed with Esri technology. Jill Collum, head athletic trainer, and Ashley Corcoran, senior hockey player, were recently featured in an episode of Cardinals’ Nest, a TV program that airs on Winona cable access HBC TV-25. Cardinals’ Nest is cohosted by Donny Nadeau, sports information director, and Dean Beckman, Communication Department chair and faculty athletic representative. 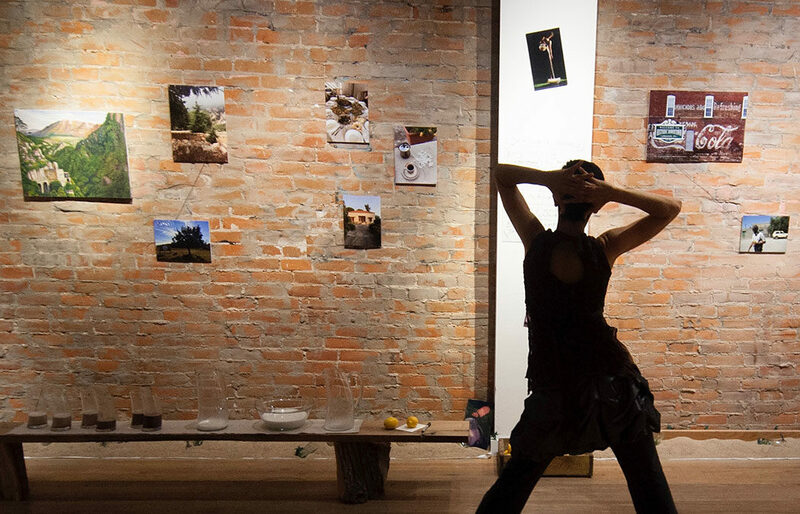 WINONA, Minn. — The 2018-2019 Page Series will conclude with Winona artist Sharon Mansur’s “Dreaming Under a Cedar Tree 2.0,” an immersive evening of dance performance, art, food, and conversation with Middle Eastern flavor. Performances will take place Wednesday, April 24, and Thursday, April 25, at 7:30 p.m. in the Page Theatre on the Saint Mary’s University Winona Campus. “Dreaming Under a Cedar Tree 2.0” reflects upon Sharon Mansur’s Lebanese heritage, the complex and fluid nature of cultural identity, and the power of place in our dreams. A site-specific, reimagined version of the original event that premiered in fall 2017 at Outpost Winona, “Cedar Tree 2.0” integrates Mansur’s experiences during her first trip to Lebanon in spring 2018. Called “moving and transformative” by 2017 audience members, the immersive event will feature a solo dance performance by Mansur, visual elements contributed by a variety of artists and Mansur family members, Middle Eastern food, and an open discussion with audience members. This will be the final installment in this season’s Cedar Tree Project, which saw an exhibition of Lebanese photographer Fadi BouKaram’s work as well as a performance featuring Mansur and dancers Leila Awadallah and Leyya Mona Tawil. The project offers Mansur, whose work was hailed as “visually creative” by The Washington Post, the opportunity to share her experience as an Arab-American and open dialogue with the Winona community. The performance also takes place during Arab American Heritage Month. Tickets are $15, and can be purchased online at pagetheatre.org or by calling the Saint Mary’s Performance Center box office at 507-457-1715 (noon to 6 p.m., weekdays). Sharon Mansur is a Lebanese American experimental dance and visual artist, educator, curator, mover, and shaker based in Winona. She is committed to dance as a transformational and healing catalyst for individuals and communities. Her performance/installation projects and dance films have been presented throughout the U.S. and abroad, and she is the curator of The Cedar Tree Project. Sharon was a guest artist at the 2018 International Dance Day Festival Lebanon (IDDFL) at the Lebanese American University in Byblos. She is grateful for the generous support she has recently received for her artistic projects and community engagement activities from the Southeastern Minnesota Arts Council (2017), a Springboard for the Arts Hinge Arts Fellowship (2017), and a Minnesota State Arts Board Artist Initiative grant (2018). She is also a 2018 Winona Fine Arts Commission Awardee and a 2018 McKnight Dance Fellow. Visit mansurdance.com to learn more. Throughout the 2018-2019 Page Series season, The Cedar Tree Project explores cultural heritage, perceptions, and identity through the lens of Arab and Arab-American artists and invites people to develop deeper understanding and empathy through artistic exchange. Curated by Winona artist Sharon Mansur, events include dance performances, visual art installations and exhibitions, panel discussions, workshops, and community gatherings with Mansur and visiting artists. Visit pagetheatre.org/the-cedar-tree-project to learn more. Now in its 32nd annual season, the Page Series connects professional performing artists from around the globe with thousands of Winonans each year. With events at the Joseph Page Theatre on the Winona Campus of Saint Mary’s University of Minnesota, as well as at locations throughout the Winona community, the Page Series offers dance, music, theatre performances, workshops, classes, and more that inspire, uplift, educate, and invite community members to discover the relevance of the arts in their daily lives. Visit pagetheatre.org to learn more. The Cedar Tree Project is made possible by the voters of Minnesota through a grant from the Southeastern Minnesota Arts Council, thanks to a legislative appropriation from the arts and cultural heritage fund. As shared by Father Burns on Friday, March 22, community stakeholder engagement will begin the week of April 8. These listening sessions and surveys will be key opportunities to engage with our consultant, Ms. Serena Matsunaga, and for members of the Strategic Planning Committee to hear from our community. Find the listening session schedule here. A survey will also be sent to the Saint Mary’s community the week of April 8. You’re encouraged to participate in one of the listening sessions and to also complete the survey. You are welcome to connect with any member of the Strategic Planning Committee as well. We are charting the course of Saint Mary’s for the next five to 10 years; please help us to hear your voice and to benefit from your insights and counsel. 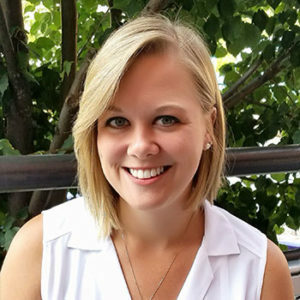 Hear what it’s like to work at a communications agency from Karina (Rajtar) Wiatros ’10, senior account executive at Maccabee Public Relations in Minneapolis. Wiatros will be visiting campus Thursday, April 4. She is speaking in several Communication Department classes, but will hold an open session for all students from 4 to 5 p.m in Salvi Lecture Hall, 332 Saint Mary’s Hall. Her talk at the afternoon open session will focus on working in an agency setting versus a corporate setting. This should be appealing to all students, especially those in marketing, advertising, graphic design, English, and public relations. 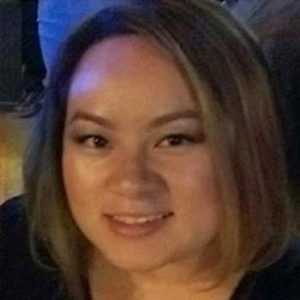 Wiatros graduated from Saint Mary’s with a journalism degree in 2010, and she earned a Master of Business Communication from the University of St. Thomas in 2016. Before joining Maccabee, Wiatros served as account manager at Tad Ware & Co., marketing manager at ABDO, and operations assistant at Nacel Open Door, Inc. Wiatros was also the head coach for the Speech Team at St. Anthony Village High School from 2012-2015. This semester, entrepreneurship students from Saint Mary’s have teamed up with students from Minnesota State College Southeast and Winona State University to develop, design, and produce new products. 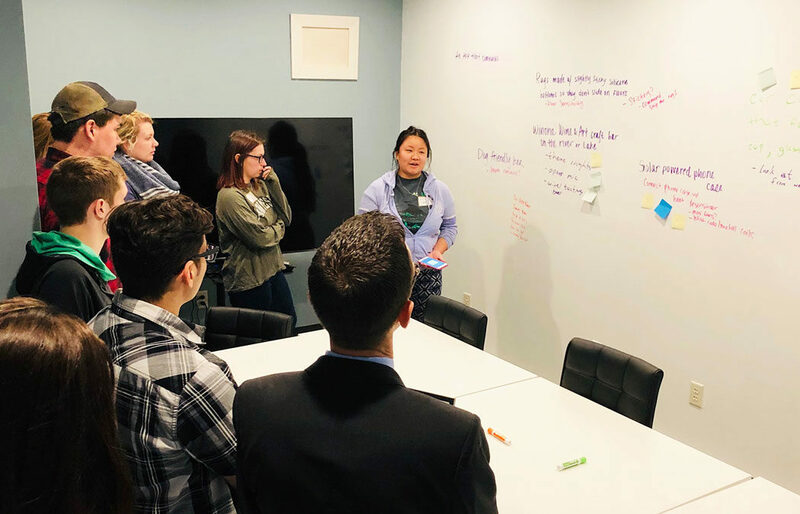 The project kicked off March 5 with an ideation session and will continue next week on Friday, April 5, at 2 p.m. when the joint teams present their results in the form of pitches and prototypes to the community. The public is welcome to attend this event downtown in the Miller Ingenuity Creation Station. Campus Notes is published for the Saint Mary’s Winona Campus faculty, staff, and students during the academic year. Deadline for Friday publication is Wednesday at noon.